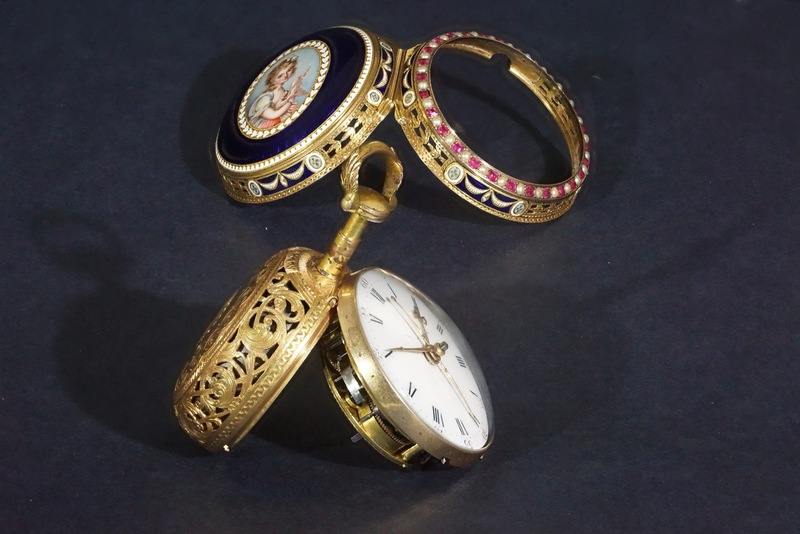 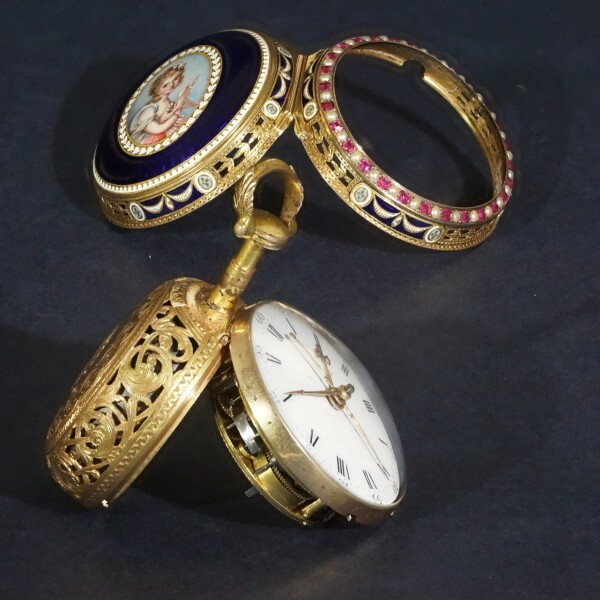 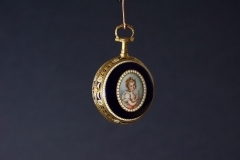 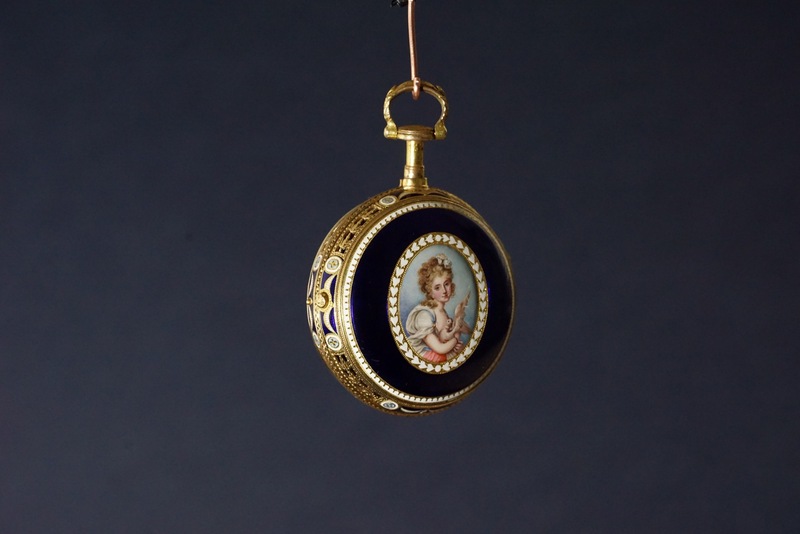 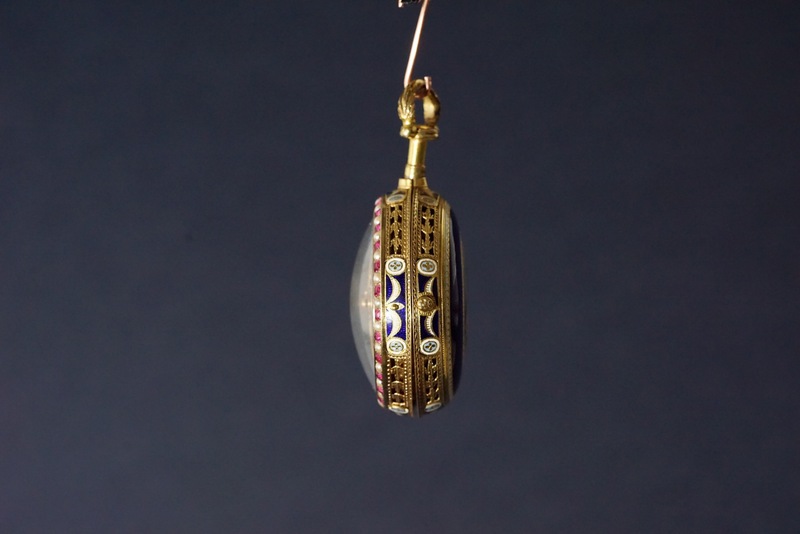 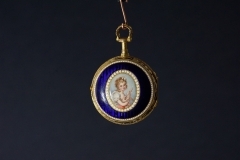 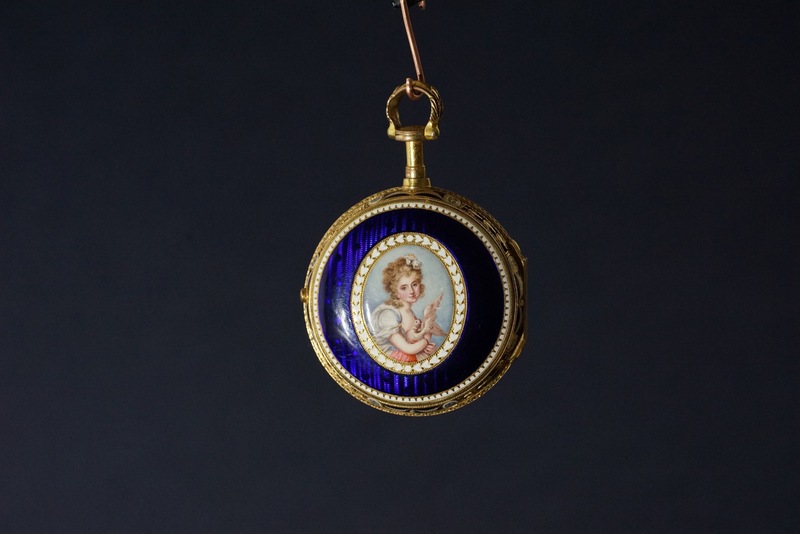 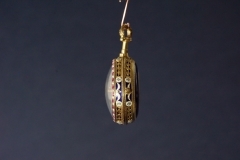 This beautiful pocket watch features an early chain/fusee cylinder escapement, central second, miniature enamel top case and bezel set with rubies and pearls. It also chimes every 1/4 hour on a bell. 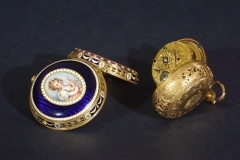 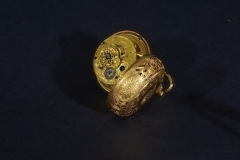 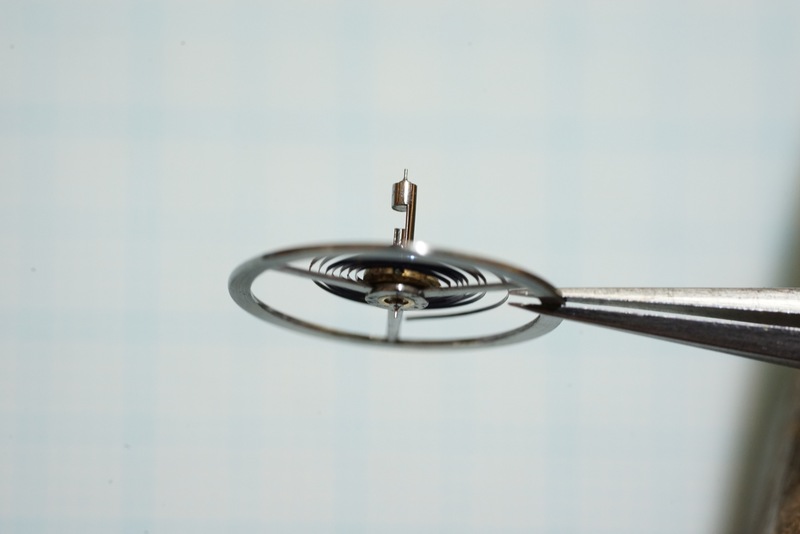 To perform adjustment and verification of the parts, the movement needed to be assembled numerous times, but working on an antique piece of art is much different to creating a new timepiece. 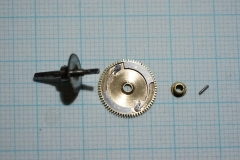 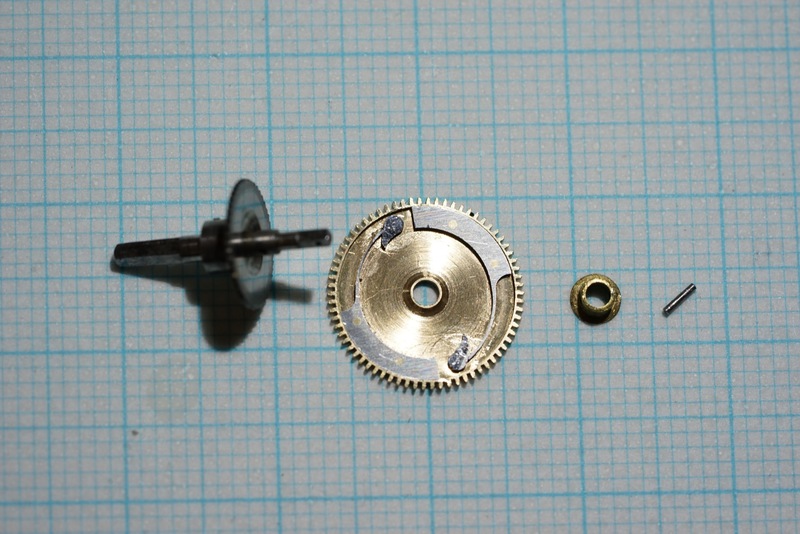 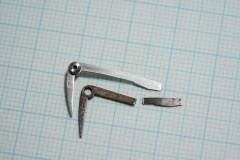 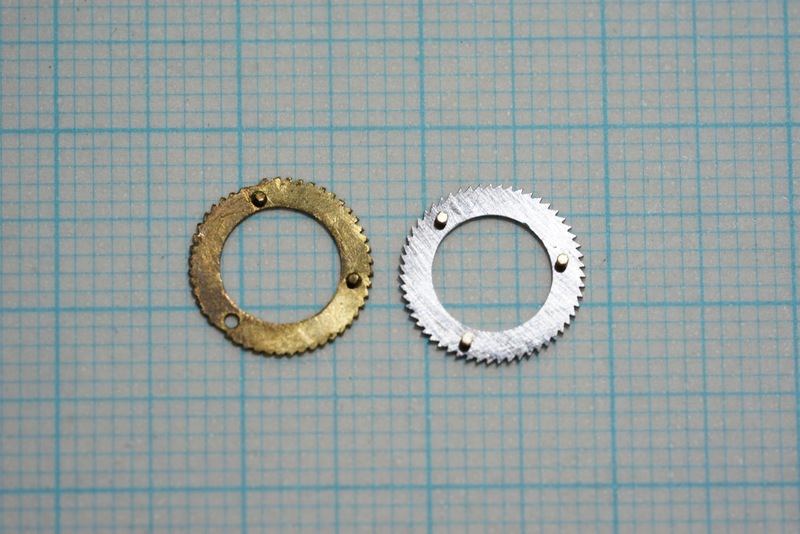 No spare parts were available and every part, even screws were made one by one and adjusted to fit their intended purpose. 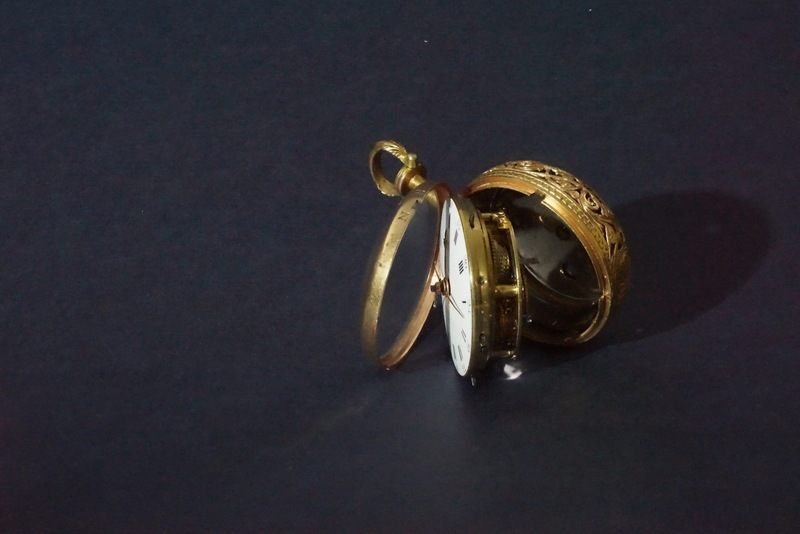 For me, it is important not to make a new watch and remove every trace of time. 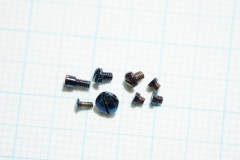 I could have made the replacements “invisible”, but, for me, it is important that they can be recognized by a future specialist as replacement parts and not “fake” additions to an existing movement. 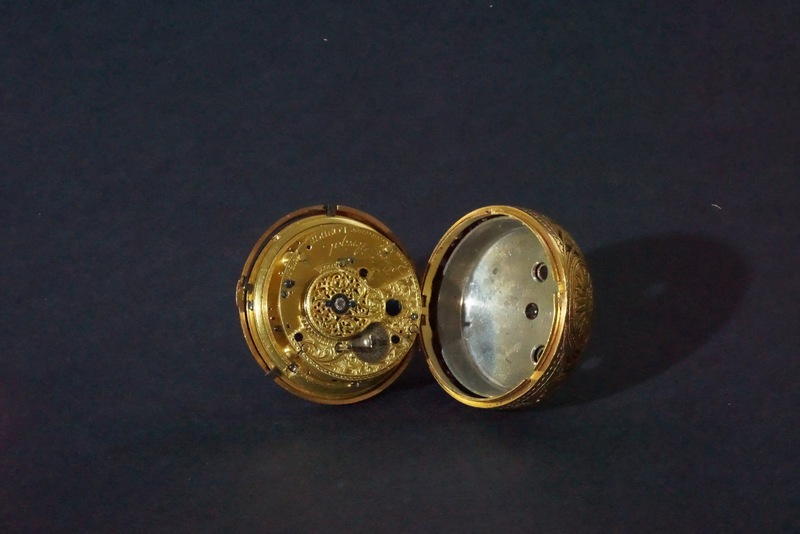 This exceptional watch came to me many years ago from a friend of my father who reported “there are some wheels missing” and that ” Andreas will be soon be starting his watchmakers apprenticeship and he will be able to make the wheels”. 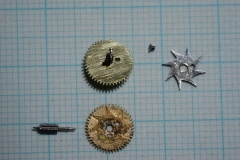 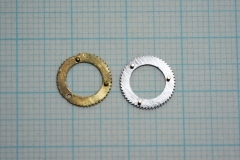 Various tasks have taken place over the past few years, which includes, reverse engineering of the construction to calculate the cam and escapement, etc. 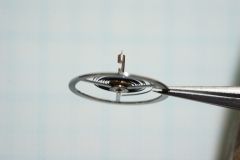 The escapement wheel was produced in the evenings and at weekends during my years at R&P in LeLocle, but this summer I finally decided to finish this beautiful watch. 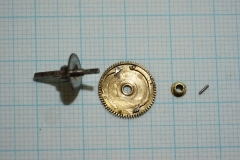 It took me over 1 month of work to complete the restoration. 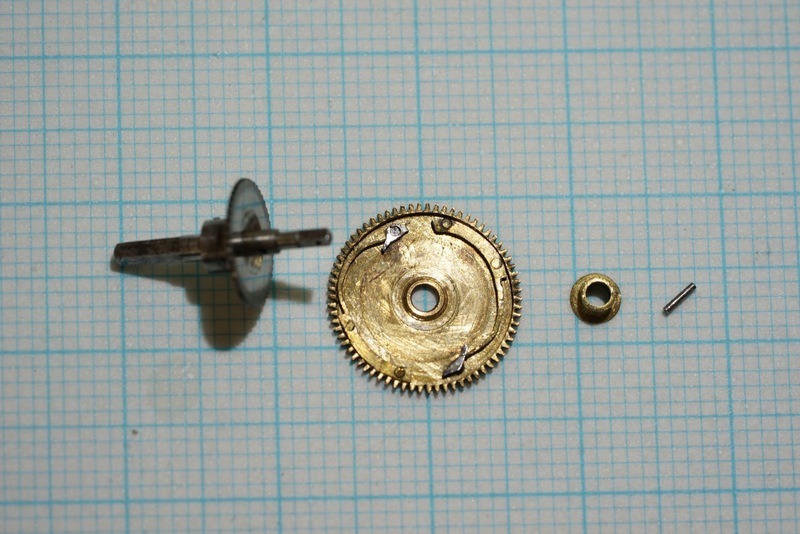 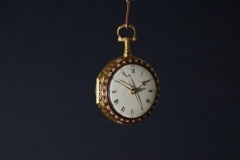 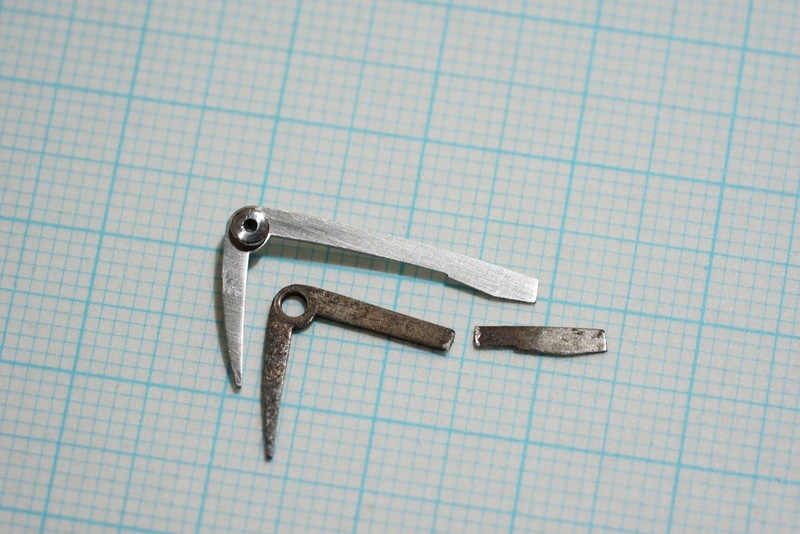 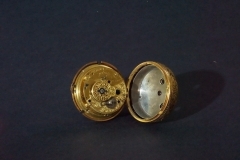 Restoring this vintage pocket watch was no different than building a new timepiece. 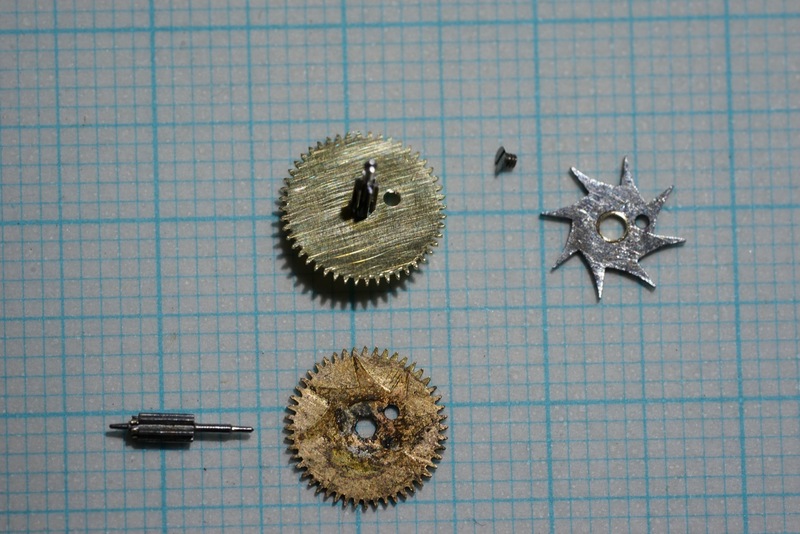 New parts were manufactured and calculations had to made, but best of all was the detective work needed to rebuild the escapement etc. It is very easy for people to forget how good watchmakers of yesteryear really were and how little things have changed when it comes to the principals of watchmaking. It has been a great pleasure to work on this fascinating watch and employ traditional watchmaking techniques to bring it back to life.